Diamond Company Plans To Move 200 Elephants From South Africa To Mozambique De Beers Group said Monday that it is transporting them from an overcrowded reserve to "help secure their future." The De Beers Group announced Monday that elephants in South Africa would be relocated to Zinave National Park in Mozambique, where a 15-year civil war decimated the elephant population. De Beers Group, the company most known for diamonds, announced Monday that it is moving 200 elephants from South Africa to Mozambique in an attempt to boost that country's depleted population. In July and August, some 60 elephants are scheduled make the trip from the company's Venetia Limpopo Nature Reserve, in the northernmost part of South Africa, to Zinave National Park in central Mozambique. The journey is about 900 miles. And, De Beers said in a written statement, effort is intended to ensure that the elephants' complex social groups stay intact. The remaining elephants will move to other parts of Mozambique starting next year. The company said it chose to transfer the elephants because its 120-square mile private reserve became home to too many elephants since it was established in the early 1990s. More than 270 elephants roam the reserve for an ecosystem which should accommodate about 60 — "risking extensive damage to an ecosystem that must sustain a diverse wildlife population," De Beers stated. The elephant exodus will "help secure their future in Mozambique" and ensure that "other species at our Venetia Limpopo Nature Reserve can flourish," CEO Bruce Cleaver said. De Beers also announced that it will give Peace Parks Foundation, which co-manages Zinave, $500,000 over a five-year period to help combat poaching by hiring and training new park rangers and opening new roads to give rangers greater access. "The reintroduction of elephants to Mozambique will bring us one step closer to achieving our dream of restoring the landscape," Peace Parks Foundation CEO Werner Myburgh said. 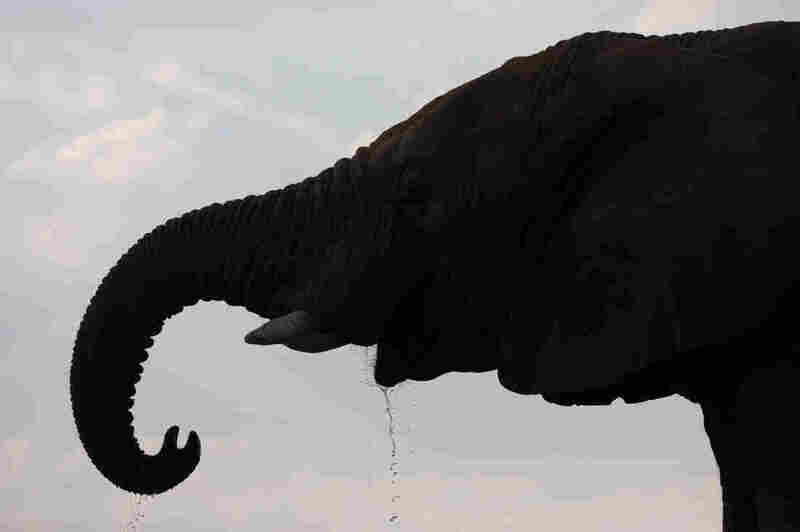 A 15-year civil war decimated the elephant population in Mozambique. During that time, elephants were killed for their ivory to fund weapons and ammunition. Though the war ended in 1992, poaching has continued to deplete elephant populations in the country. According to the Wildlife Conservation Society, nearly half of Mozambique's elephants were poached between 2009 and 2015, reducing the count from 20,000 to 10,300 elephants. Authorities burned more than one ton of poached ivory in 2015. The De Beers' move does not represent the first large-scale donation of animals to Zinave. Seven elephants were sent there from South Africa's Maremani Nature Reserve in 2016. In 2017, another reserve promised it would send 6,000 animals to Zinave over six years, The Guardian reported. The animals came from Zimbabwe's Sango Wildlife Conservancy, which earned $600,000 annually from trophy hunting on its largest ranch, according to a 2016 report by the International Union for Conservation of Nature. Masha Kalinina, then a trade policy specialist with the Humane Society International, told The Guardian that relocating the animals was a bad idea. She said, "Mozambique continues to have one of the highest rates of poaching in southern Africa." "Now both South Africa and Zimbabwe are transporting their own animals to this park just so that they may die at the hands of either trophy hunters or poachers. Is that what we are calling conservation?" Cleaver said every employee of De Beers Group is proud of the elephant relocation, "born of a deep sense of responsibility" to protect the natural world.